I have been busy making Blankets and Angel pockets ready to be sent off. A friend of mine, Diana, was kind enough to send me some yarn that I could use for the blankets. These are used for the tiny babies that do not make it some are very tiny and these are used to present the babies to the parents in. 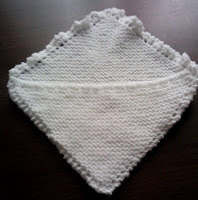 This is my first attempt at crochet and was quite pleased with the way it turned out, not bad for someone who has never done crochet before. 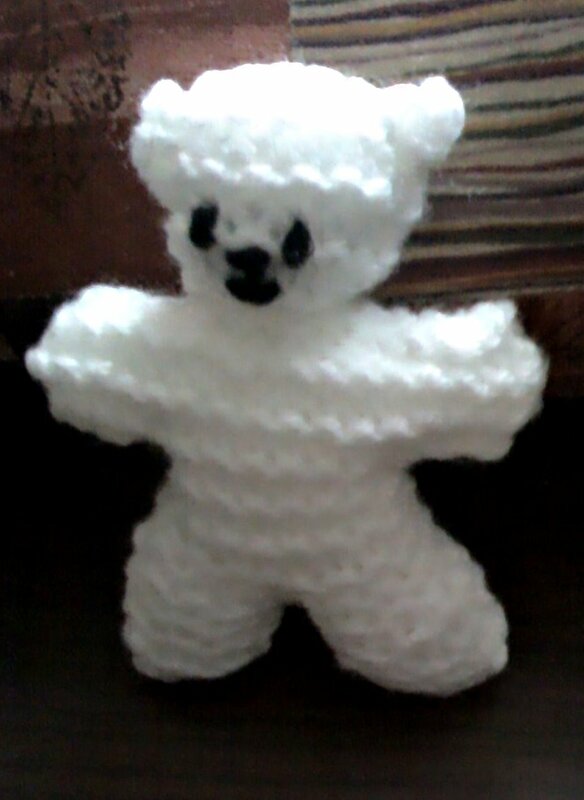 I also made these little teddies to with the blankets that I made. 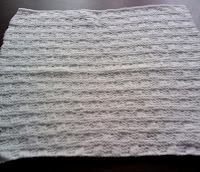 This one is made to the same pattern but with half the stitches of the bigger one. This one was made to amount of stitches in the pattern he look really big compared to the other one. 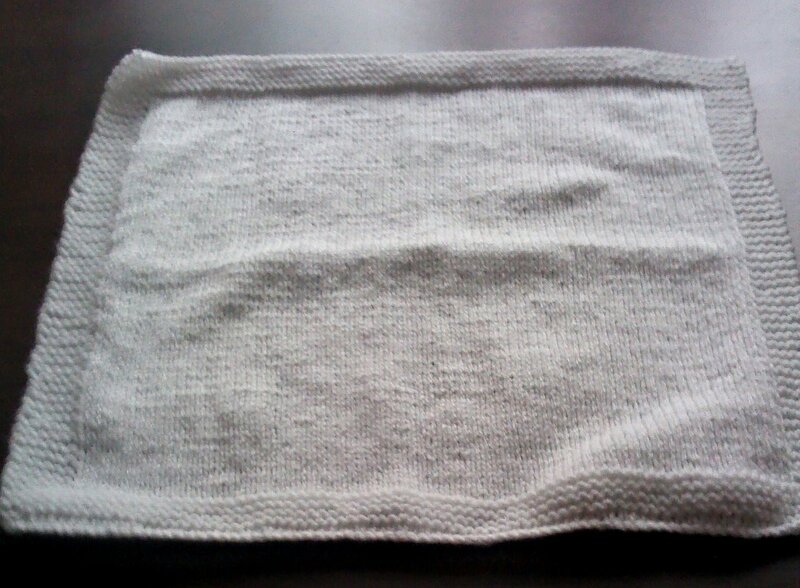 This blanket is made to the Sands pattern for a blanket that is used for Memory Boxes. 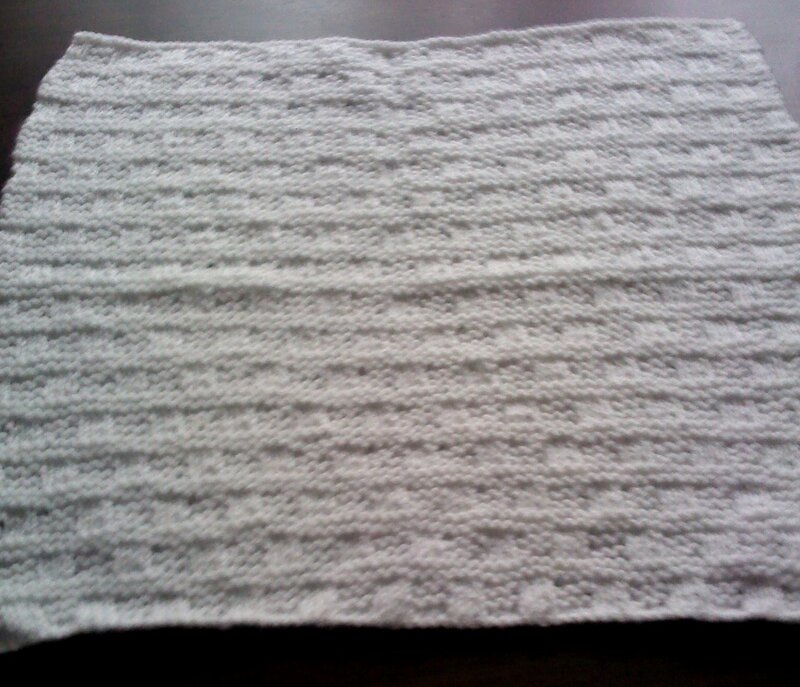 The border is added after knitting the blanket. They are easy to make and look so pretty. This is a preemie baby blanket that is used in Neonatal units for the tiny babies there this one is a simple Stocking stitch blanket with a garter stitch border top and bottom. 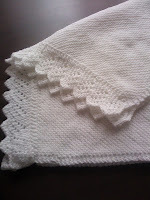 This one is a basket weave pattern again easy to do but knits up without any holes for tiny fingers and toes to caught up in. Many of the babies that these blankets are made for do survive so it is something positive to make for them. So why do I knit for charities and hospitals that need these items? Well 37 years ago I lost my first baby when I was 24 weeks pregnant he died in the the womb and after I was taken to hospital he was removed. I was not given the choice or chance to see him and was simply told that he was perfectly formed and had died due to his blood group and mine not being compatible. You see I have ARh Negative blood group and his was Positive, anti bodies kicked in and sadly he died, no ones fault just a fact of nature. I had an injection that meant any other babies would not have the same fate. So I know what it is like to have all the excitement of a new life waiting to be born only to have the awful news it will not be. Now they are far more understanding and offer parents the chance to say goodbye and have their precious little one presented to them with dignity. So the Angel Pockets are made by people who may have had a similar experience or by those who know someone who had that experience. The blankets are always welcome as hospitals use them and the parents take them home with them. 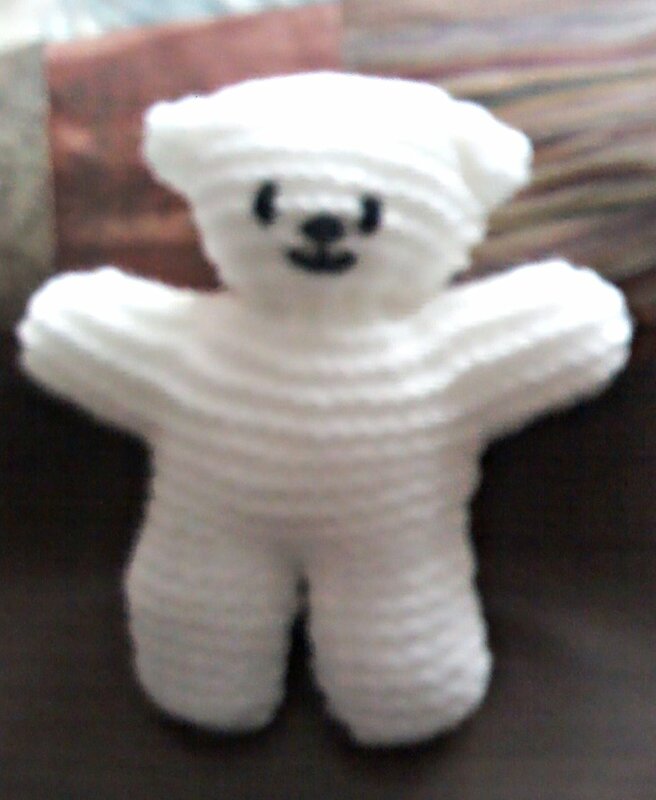 The teddies are often used in Memory boxes or given to the parents along with the Angel Pockets. The teddies are also given to parents to take home with their baby when they are strong enough to go home, along with the blanket that was used to hold and cuddle them in. 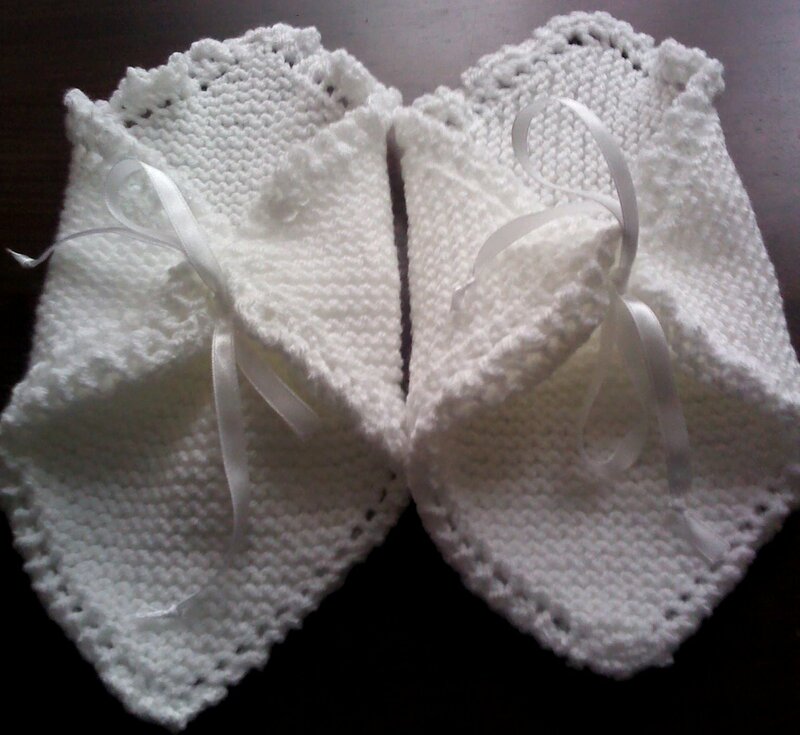 I make them in white so they can be used for a boy or girl some make them in pastel shades but I prefer white. So a big thank you to my friend who has made it possible for me to make these items that will be used for such precious little ones. Your story is so sad Paula. I am sorry for your loss. You will never forget your baby even though you didn't get to spend time together. But in all that you do for others you make the world a better place and you make their pain a little less. I think lots of us who knit and crochet for charities have known sadness.God Bless You. Keep crafting.